5X MY PARTY POINTS SUNDAY! Play your favorite machines each Sunday January 1st to February 26th and earn 5x points! All Machines- All Games! 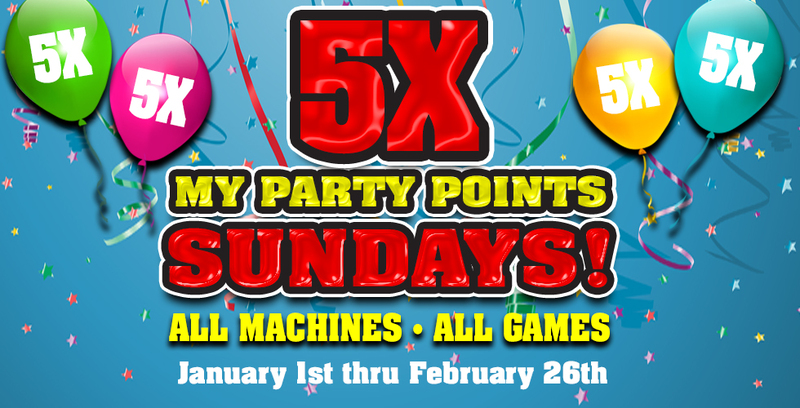 Sands Regency » Events » Promotions » 5X MY PARTY POINTS SUNDAY!